The Parsha and current events: two assassinations. "On that day there will be a great eulogy (and funeral) in Yerushalayim, as great as the eulogy of Haddadrimon, in the Valley of Megiddon (Megiddo)". Because nowhere in the Tanach do we find a mention of a Haddadrimon who was eulogized in a place called Megiddon. Yonatan ben Uziel explains: "On that day, there will be a eulogy as great as the one said over King Achav (Ahab) ben Om'ri (of the northern tribes) who was killed by Haddadrimon ben Tavrimon on the Gilad Heights, and as great as the eulogy for King Yoshi'yahu ben Amon (of the southern tribes, from the family of King David) who was killed by Pharaoh Necho in the valley of Megiddo." Now, why did these two people merit such impressive funerals and eulogies, which serve as the model for future eulogies of two great men in Yerushalayim? It would be an understatement to say that Achav did not follow the Torah. He and his Gentile (Phoenician) wife, E'zevel (Jezebel) murdered all of the religious leaders of the northern tribes, except for 100 who were hidden in caves by the righteous Ovadia (Melachim I 18:4). Achav introduced idolatry into every Jewish home by the sword, but when he died he was interred with an astonishingly large, emotional funeral, and with loving eulogies. The answer is that Achav, by all accounts, was a beloved leader. He brought great wealth to the land and fought wars to protect the independence of the country. The way he died is indicative of his greatness as a leader who lived for his people. When he fought his last battle against the Aramians (today’s Syria), while standing in his chariot, an enemy soldier, whose name was Na'aman (Yalkut Shimoni Melachim 1:22) shot an arrow aimlessly into the air, which struck Achav through a small aperture in his armor. Achav could have retreated from the battle in order to obtain medical treatment, or, at least descended from his strategic position in the command chariot in order to be treated. But since this would entail removing himself from view of his soldiers, and thereby possibly weakening their resolve to fight, he chose to remain in his lead chariot, and he died. Achav was a highly respected and beloved leader, albeit a man devoid of Torah. In total contrast, Yoshiyahu, King of Judah and Yerushalayim, was a tzaddik (righteous person.) In his lifetime, Yoshiyahu made extensive and costly repairs to the structure of the Bet Hamikdash. He almost completely eradicated the worship of avoda zara (idolatry) from the land and put to death the priests of idolatry; and he re-initiated the aliya la'regel (pilgrimage to Jerusalem). The Tanach relates that since the days of Yehoshua ben Nun, Pesach (Passover) had not been practiced in such a glorious manner as it was during his rule. Yoshiyahu was, like Achav, a staunch nationalist. He was killed in battle in Megiddo attempting to prevent the Egyptian army from using Eretz Yisrael as a land corridor to do battle with the army of Assyria. The Gemara in Bava Kama relates that when Yoshiyahu's body was returned home to Yerushalayim, it was carried by 36,000 pallbearers on the way to his tomb! In the yeshiva, this was questioned, because Achav was treated in the same manner. The Gemara replies that in the case of King Yoshiyahu, they placed a sefer Torah on his bed and called out, “this man performed what is written in this Torah". The God-fearing Yoshiyahu and Achav the denier of Torah, both merited the love of their subjects, for in their own way they fought for the honor of the Jewish people and were protectors of Eretz Yisrael. The prophet Zecharia, as stated above, predicted that in the future, Yerushalayim would be witness to two eulogies as great as those held for King Yoshiyahu and King Achav. 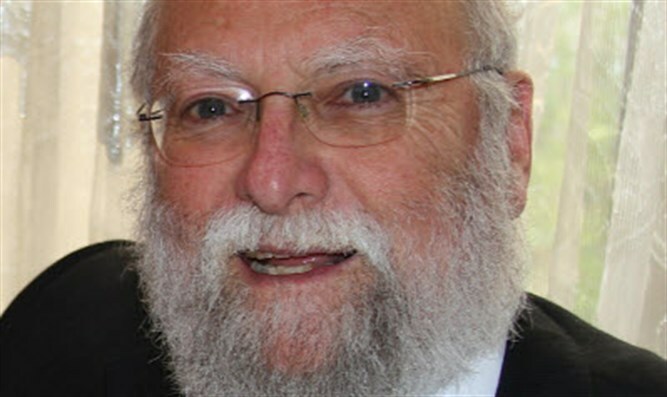 Since the destruction of the Temple and the exile of our people, the city of Yerushalayim has not seen funerals as large in attendance and as emotionally charged as were the funerals of my brother, Harav Meir zt"l (zekher tzadik livrakha: may the memory of the righteous be a blessing), and that of Prime Minister Yitzchak Rabin z”l (zickhrono livrakha: may his memory be a blessing). Rabin was no Achav and Harav Meir was no Yoshiyahu; but both, in their time, could be compared to those kings of the Tanach. Rabin denied the Torah, but like Achav he was a soldier who defended the country since his youth. He was a beloved leader for many and they thronged to attend his funeral. Harav Meir was a talmid chacham (Torah scholar) and a great leader and role model for many people. He brought the plight of the Jews in the Soviet Union from page 54 of the newspaper to page 1, which eventually opened the gates of freedom to all Jews who wished to leave. There were close to two hundred thousand people at his funeral, representing radically different outlooks but all with total respect for this martyr. Interestingly, the time of their deaths testified to their contrasting beliefs. 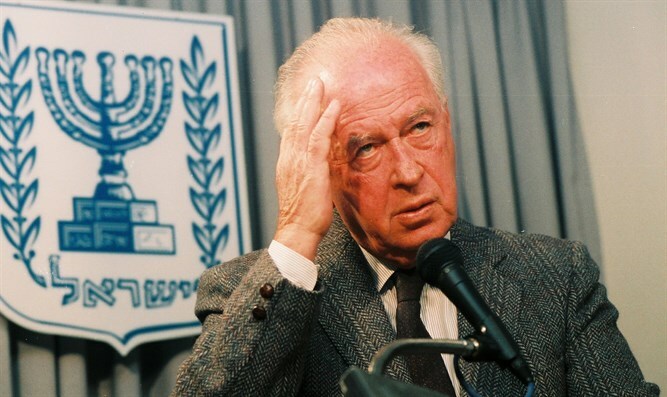 Rabin was killed on Motzei Shabbat of parshat Lech Lecha, and Harav Meir was killed close to the following Shabbat, parshat Va'aira (in different years). In Parshat Lech Lecha, upon being informed that Sarah would soon give birth to a son, Avraham replies to God, "lu Yishmael yich'ye le’fanecha”; "May Yishmael live before you”. Avraham comes to the defense of Yishmael, and requests equal rights for his son, born of Hagar, the Egyptian woman. "Chase away this maidservant and her son, for this son of the maidservant will not inherit together with my son, with Yitzchak"
Sarah instinctively felt the evil and wildness in the soul of Yishmael (Ishmael), and knew that Yitzchak (Issac) and Yishmael would never be able to live together. Hashem tells Avraham to abide by the request of Sarah, for Yishmael and the future descendants of Yitzchak would never be able to live together. Rabin, who was killed close to Parshat Lech Lecha, adopted Avraham's position, believing that the two peoples could live together. To this end, Rabin permitted the return of PLO murderers living in Tunisia, and gave them forty thousand weapons. On the other hand, Harav Meir, whose holy neshama left the world close to Parshat Vayaira, adopted the position of Sarah, as was affirmed by Hashem, that the souls of the two are hewn from vastly different worlds. Yitzchak is the ben Torah, worthy of being a korban (sacrifice) for Hashem on Mount Moriah; while Yishmael is a perah adam (wild man) who prefers death over life. Hashem tells Avraham that Sarah is correct in her assessment of the two sons of Avraham, and that Yishmael must be sent away. Rabin wanted to give them half of Eretz Yisrael, despite the words of our mother, Sarah: "For the son of this maidservant will not inherit with my son, with Yitzchak”. History has played out in the manner told by G-d to Avraham, to abide by the wishes of Sarah. May the souls of both these men be united with all of the living souls in Olam Haba.